Parts cleaning is an important phase of many industrial processes. Parts have to be cleaned either before performing surface finishing or when an end-product needs to be protected from various sensitive components. Take for instance the electroplating process where molecular layers of oil can form and result to preventing the coating from being adhesive to the surface. In this regard, de-oiling under vacuum and other cleaning technologies will be necessary. At Airtech Vacuum Incorporated, you will find vacuum and pressure technologies for de-oiling under vacuum. There are certain standards that need to be met in the process of parts cleaning for industrial processes. In electroplating, for instance, ASTM B322 is recognized as the standard for cleaning. Among recognized processes in this regard are solvent cleaning, acid tech, electrocleaning, and hot alkaline detergent cleaning. Using the waterbreak test, the metal can be tested for cleanliness. Alongside this, there are also a wide array of technologies that can be used in industrial parts cleaning. Among them are dry blasting, flood injection washing under vacuum, and vacuum drying. Another in the list is de-oiling under vacuum, a process where industrial parts that require cleaning are placed inside a vacuum chamber. From here, the parts are heated by radiant chambers. During the process, there is a need to adjust the pressure and temperature for easy vaporization of possible contaminations in the components. In this process, the more relevant products that can be used are liquid ring vacuum pumps, rotary vane vacuum pumps, claw compressors and vacuum pumps, and screw vacuum pumps. Why Choose Airtech Vacuum Incorporated For De-Oiling Under Vacuum? Customers choose Airtech Vacuum Incorporated for their de-oiling under vacuum needs for a list of reasons. First, since we have been founded in 1982, we have manufactured a variety of vacuum and blower technologies including rotary vane vacuum pumps and parts, oil-less vacuum pumps, regenerative blowers, and more. Second, we have a dedicated team working tirelessly to meet specific requirements for various industries. Also, our unparalleled technology for regenerative blowers and vacuum pumps guarantee ease of installation and operation plus a set of features relevant to the process. Last but not the least – we have been certified by the biggest names in the industry including RoHS, ISO, CE, UL and CSA. We begin core of the work by analyzing the particular situation with which blower and vacuum technologies will be needed. From there, we develop customized, quality products to suit your needs. 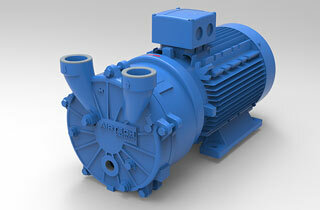 You can choose from a wide array of technology including nickel-plated blowers and those with magnetic drives. To make the shopping experience even better, Airtech will always make sure that each order is handled and delivered with care. Why look for another manufacturer when we can offer you the best experience when shopping for de-oiling under vacuum and pressure products? Start browsing through our inventory today and find out about how we define quality and affordability!